ADA JEAN SCOTT (nee Bowen) most beloved wife of the late Joseph, left this life on August 23 at the age of 95. Born to the late James Henry Bowen and Polly Ettie (Wegman) on July 16, 1923 in Beverly, West Virginia, she was one of fourteen children. She is survived by her most beloved son, Russell Dana Smith (late Sheila). She was the loving grandmother of Russ (Smith) Meacher, Mark Smith, Dana Smith and Randy Meacher, great grandmother of Shayne, Cecily and Brenden Meacher, Joseph and James Smith. She was a proud great aunt of 65 and great great aunt of 111. 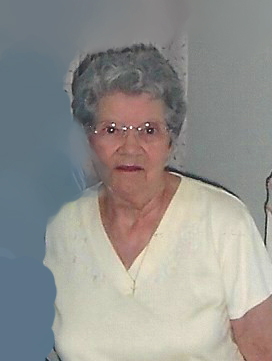 Ada Jean was a true and loving long-time friend to Sandra (Smith) Meacher. A Mass of Christian Burial will be held on Wednesday August 29, 2018 in St. Mary Byzantine Catholic Church, at 10:00 AM. Interment Holy Cross Cemetery. Friends will be received Tuesday 6 – 8 PM with Parastas Service at 7:00 PM at the A. RIPEPI AND SONS FUNERAL HOME, 18149 BAGLEY ROAD, MIDDLEBURG HEIGHTS, OH (West of I-71).